Seasonal expansion and contraction in decks frequently causes deck nails to work themselves loose. The exposed nail heads can be a real eyesore–but even worse, they can be an extreme safety hazard! 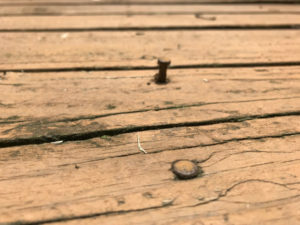 This article and short video will show you the best way to deal with loose nails on your deck or porch. By using the trick below, you’ll not only save money, you’ll also never have to worry about fasteners coming loose again. This problem is so common, I’m often surprised when I walk onto a nail-fastened deck and don’t find any sticking up! 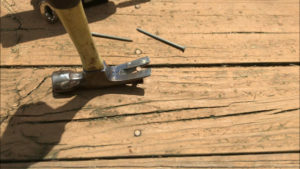 Laying down deck boards with nails is by far the fastest, easiest and cheapest way to build decks. 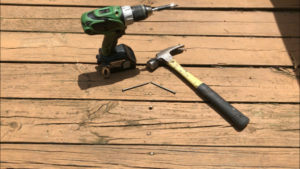 Whole boards can be attached in less than a minute with a framing gun, and the exterior-grade nails used will work fine for a good long while. The problem, however, is that nails are only held in by means of friction. The nail essentially forces its way into lumber, squeezing in so tightly that it can’t be pulled back out without a great deal of force. Even the lumber shrinking and drying out over the next few weeks won’t really loosen this hold. Seasonal changes, however, generate plenty of force to work some nails loose. In the dryness of winter, boards will shrink, causing nail holes to open up further. Then, in summer, the boards swell with moisture, re-gripping the nail and forcing it upwards as the board gains thickness. When winter comes back around again, the boards loosen and settle, leaving the nail head very slightly elevated. 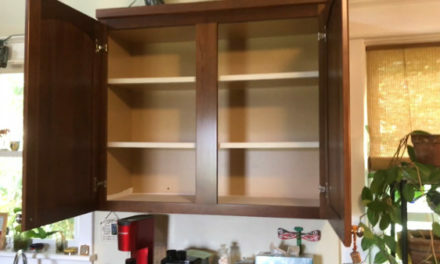 After just a couple years of this, you can see a nail head “standing proud” by 1/2″! The effect can be especially bad on decks that get bombarded with sunlight during the day. Boards will be even more likely to warp–and the grain to loosen and crack–as light, heat and UV rays work on them continuously. Pretty soon, you’ll have dozens of nails sticking up at various intervals. These nail heads create tripping hazards for people wearing shoes. But for animals, and people going barefoot (as they often do on decks), they can cause hideous gashes! Driving the nails back down with a hammer is a temporary solution–but it really won’t do much good. The nail hole is too big to grip the nail at this point. The best thing to do is just replace the nail with a screw! Screws don’t rely on friction for their fastening power. Instead, the numerous threads act as little pawls to prevent the fastener from backing straight out. Also, screws tend to be significantly wider than nails, because they have a shaft and orbital threads. 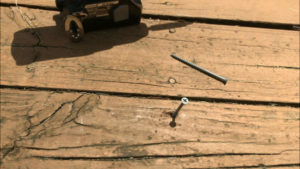 These two facts combined make screws the ideal fastener for deck boards. To get the repair started, just use a 16 0z. claw hammer to back the old nail out of the deck. Avoid using too much force to do this. 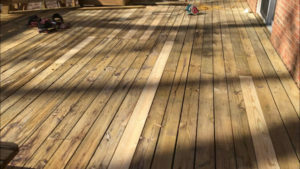 If the deck is in bad enough shape, a lot of yanking and prying with a heavy hammer could damage the surface or mar the stain. Likewise, if the nails are in bad shape, there’s a chance you’ll strip or break the heads in the process. Use a firm, steady prying motion. 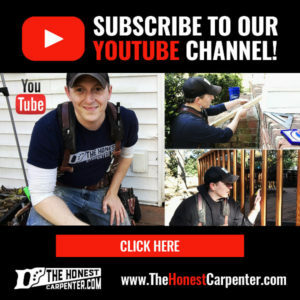 If the nail just doesn’t want to come up, you can switch to a pry bar or crow bar, but consider putting a prying block of scrap wood beneath it. Also, if the head does break off, you can use a nail puller. Throw the old nail away so no one steps on it! 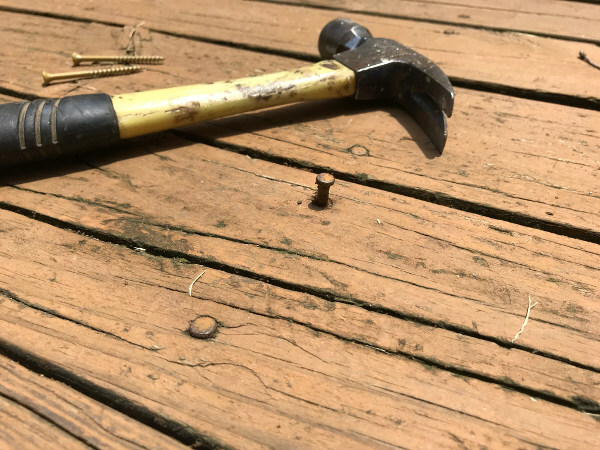 For the replacement, you want to use an exterior-grade screw that is longer than the original nail. 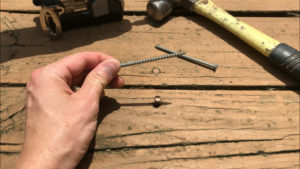 This way, the screw can be driven past the nailing depth, so it bites into untapped wood deeper in the joist. Just measure the removed nail to see how long it is. Chances are it’ll be in the 2-1/2″ to 3″ range. If you’re deck is topped with 5/4 deck boards (which are 1″ thick), then the nails will probably be 2-1/2″. Replace them with 3″ screws. If your deck is topped with 2x framing lumber (which is 1-1/2″ thick), you’ll probably need 3-1/2″ screws. As mentioned, all replacement screws should be exterior-grade, preferably ceramic-coated. Also, if your deck is brownish in color, go ahead and get brown-colored deck screws. (I’ve linked them above.) It will make the replacements blend in much better. 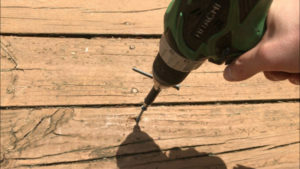 Use an electric drill or driver to set the new screws firmly in the deck. When you begin driving, the screw will probably sink very quickly as it passes through the bored-out hollow where the nail sat. It’ll stop, though, when it hits the bottom of the hole. Continue driving it in from this point. 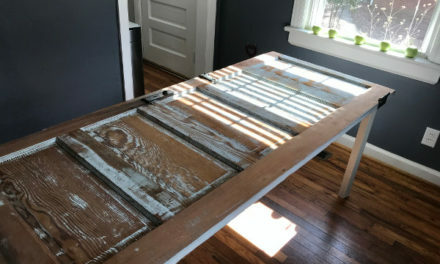 You should feel resistance as the threads bite the joist lumber below, and the head will sink slightly into the board surface. That’s it, the screw is set. If it doesn’t want to stop spinning, then the hole may just be too compromised. Consider drilling a new hole right beside it. Use a bit that is only about the width of the screw shaft (not the threads). Drive the screw into this hole. No matter what, using a screw as a replacement is the way to go. Just repeat this process anywhere that you have nail heads sticking up. This includes on railings and stairs! 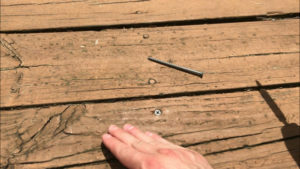 Nails can pop up anywhere, and most every part of your deck is probably built with nails. Also, if your deck is stained, then consider dabbing the screw head with a drop of matching stain. 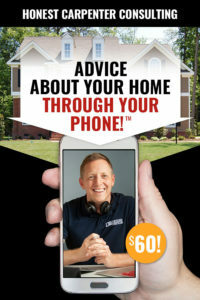 This can really help the screw to blend in with its surroundings, making it far less obvious. If a particular deck board is in very bad shape overall, consider replacing it altogether. The process really isn’t all that difficult. Check out this article I wrote on deck board replacement to see how it’s done!